Based out of San Francisco, GFP Solutions differentiates itself by employing consultant-developer hybrids which also serve as a single point of contact. All of our project managers not only guide you through the implementation, but also customize your database to your business requirements. Having your customizations developed by the same person grants full transparency, streamlined communications and significantly shorter lead times. This also promises greater sustainability and scalability of your database since the consultant recommending solutions is also aware of the technical implications of the database. 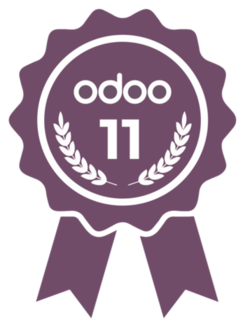 Reach out now to find out more about how GFP Solutions can implement your Odoo solution that exceeds your expectations and empowers the growth of your business. Little Mountain Printing is a family-owned and operated business providing quality promotional and printed products for over twenty years. It is our goal to make your business products a positive reflection of your business. For that reason every project is treated with individual attention to detail from conception to completion. Our commitment to providing quality products at a fair price has produced a growing list of satisfied clients. We would be delighted to partner with you on your next promotional or printing project. With over 750,000 products to chose from we can find the right fit for your business.